Looking along White Rock Beach to Te Kaukau Point. Bent and buckled limestone skeleton reef 50-60 million years old in foreground, White Rock, Wairarapa, South Wairarapa District, Wellington Region, New Zealand (NZ) stock photo image from New Zealand (NZ). Looking along White Rock Beach to Te Kaukau Point. 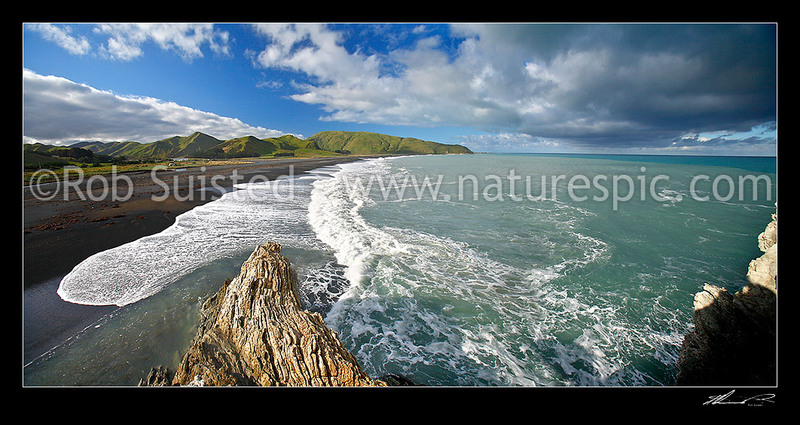 Bent and buckled limestone skeleton reef 50-60 million years old in foreground, White Rock, Wairarapa, South Wairarapa District, Wellington Region, New Zealand (NZ) stock photo image (Picture ID #: 34675OP00).